Ovnimoon Records is excited to present this collaboration album from two of our very good friends and musicians from Serbia. 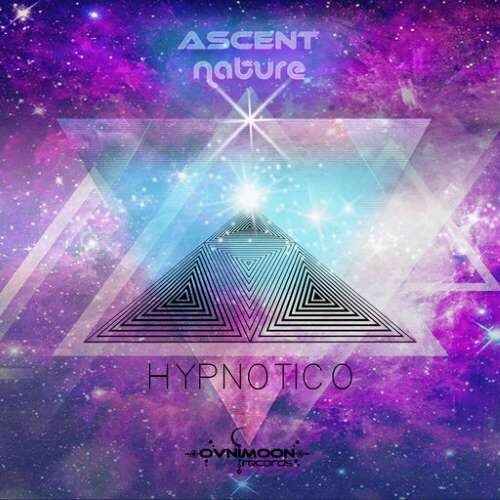 Ascent and Nature combine their audio wizardry with this 10 track album titled Hypnotico. Already very well known and respected in the time they have been releasing as their individual projects, these amazing progressive minds join to create something extra special with their signature spiritual and deeply atmospheric sound ideas. With each beat and melody the listener is taken within their soul and cleansed of all fear and pain when the urge to move your body takes over after the mind has drifted off in meditative bliss. Also included on this album is an exclusive Ascent and Nature remix of the song from Ovnimoon's last album called Transmutation. Ascent is Bojan Stojiljkovic and he has released two chart topping albums, 12 plus digital releases and much more with his side projects such as Ascent and Argus making downtempo psychill with his brother Branko. Another progressive projected called Elgiva with his friend Milan aka Astral Sense and also a Fullon Goa Psytrance project called Demetria with Stefan Stefanovski aka Tesla Principle he has also done collaborations with Liquid Sound, Ovnimoon, Shogan, Alchemix, Dual Resonance, Elegy, Argonnight and more. Nature is the Progressive Psytrance project of Nebojsa Vidic where he is focusing on old school ideas, with strong kick and bass, combining many elements of progressive, psychedelic and forest music. Trying to take you in state of meditation and to keep misticysim and spiritualism in psytrance music. Nature focused on eastern melodies, deep atmospheres and the sounds of nature itself, relaxing and meditative sounds to make you feel free and to drift away with your mind. He made his debut release in Ovnimoon Records with his tow ep's Forest Ritual and Night Fair which both sold and charted very well and Nature has collaborated with great names such as Ovnimoon, Ascent, Norma Project and many more to come.